The displays of these log homes (with photos) will be carefully sorted by our team then sent directly to your email address. 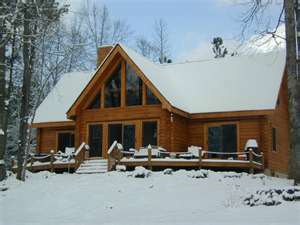 These listings will be up-to-date available log homes from all real estate companies. After the initial "batch" you will be updated with new Log Home listings as soon as they come on the market by way of your "Listing Portal" email. It's a great way to keep an "eye on the market" just by checking your email! All you need to do is complete the form giving as many details as possible. (Your information is completely safe with us and will remain private.) When finished just hit the "Submit" button. Just contact us to see any of the homes in person. Since we always "represent" the buyers we work with, you can count on us to help you get a great deal! Please enjoy viewing the log homes and contact us with any questions whatsoever. There is no obligation to buy a home and the service is free! *** Now Hiring Agents - Contact Jeff Ferguson for details about this exciting opportunity. Which NC Mountain town/area do you prefer?